Sandra Kaye: Color Makes Me A Very Happy Girl !!! both are beautiful! i especially like the fabric journal, like seeing how it is progressing-very pretty. 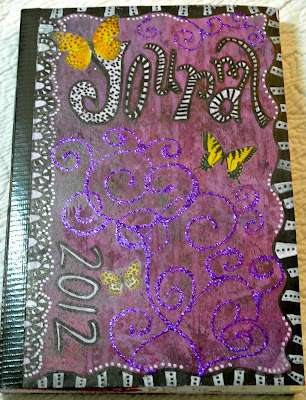 Lovely,just lovely,I knew you wouldn't disappoint .I love journals and yours gives me a few ideas. Although I don't do anything like this type of art - I must admit it makes me happy to come here and see your work. Your journals are wonderful!!! I can tell you love making them and it really shows. Thanks so much for sharing. I journaled this week too and makes me so happy. Love the spread girlfriend! It's fun to see all the layers and how it changes each time you add something new. It makes me happy to know you are doing what you love.Can't wait to see what comes next! Hi Sandie - it shows in your work just how much fun you had making this. 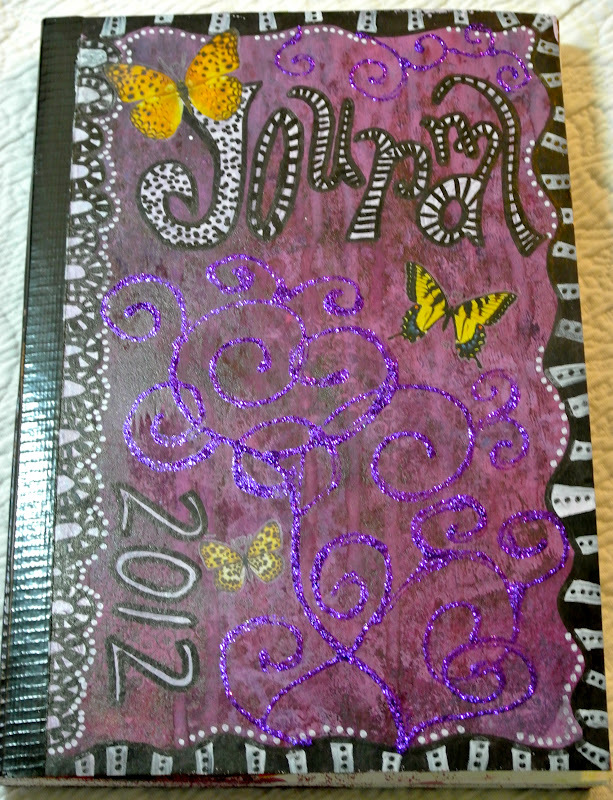 - fabulous journal! Both projects look wonderful! I'd say you are officially un-blocked. Thought I would stop by and say Hello! I found your blog link in my e-mail. I will try and read it everyday. Love you and can't wait to see you all when I come to Arizona.